← After the Affair: Should I Stay or Should I Go? The 7th kind of affair, I Want to be Close to Someone (which means I can’t stand intimacy), is usually accompanied with plenty of confusion, not just on your part, but for your partner and the other person as well. Most of the time, everyone involved is stuck in this place of not knowing what to do and where to go. All this confusion is usually caused by two things: the emotions that come about upon discovering your partner’s infidelity, and your partner’s inability to choose between you and the other person. Because of these things, and maybe a few other issues, you become stuck along with everyone else. A part of you will want to get away from everything – the confusion, the relationship, and your partner – but then you will feel that another part of you wants to stay and fight and work things out with your partner. You never really decide what you want to do and the longer and harder you try to think about your situation, the more confusing everything becomes. How do you deal with the confusion of this type of affair? Never allow yourself to be pulled back and forth from one decision to the next by your partner’s needs and wants. Ask yourself, “What do I want for me?” And when you realize and discover and know the things that you want for yourself – apart from your partner and your relationship and the affair – then you will have all the tools you will need to make a decision, move in the right direction, and not be stuck anymore. 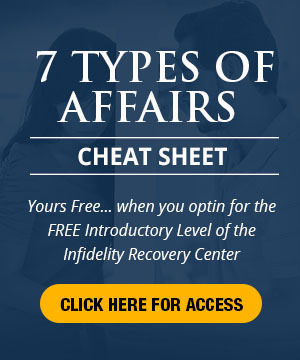 Don’t be paralyzed by this type of affair, and use the proper techniques to break free from the affair and the pain. 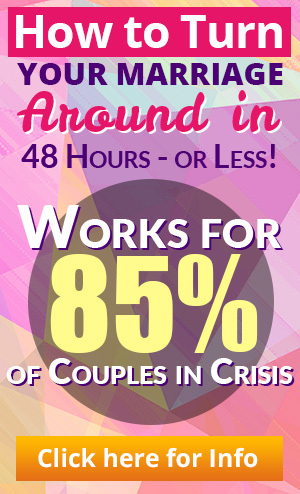 This entry was posted in Infidelity Pain, Relationship Communication, Relationships: Marriage, Surviving Infidelity, Trust Building, Types of Affairs and tagged affair, affair help, coping with infidelity, extramarital affair, how to deal with infidelity, how to survive an affair, Surviving Infidelity, Types of Affairs. Bookmark the permalink. I am so glad for you Dr. Bob Huizenga and this valuable information you’ve shared. I am in a marriage to a man I suspect is gay (this is based upon valuable eye witness historical accounts and my gut). I am mostly glad I no longer have to question if I am crazy, as he has suggested many times, especially when I confront him about his behavior. It so important for me to hear that I should keep the focus and me and to keep the focus on me. I love this and it’s a breath of fresh air.